昭和鉄道高校 / Showa Tetsudo High School | 北川原温建築都市研究所 | Atsushi Kitagawara Architects Inc.
Showa Tetsudo (“Tetsudo” means railroad.) high school was constructed at the 3rd phase. We explored a future-oriented active and vigorous image in architecture, as a symbol of school life where students realize their dreams. 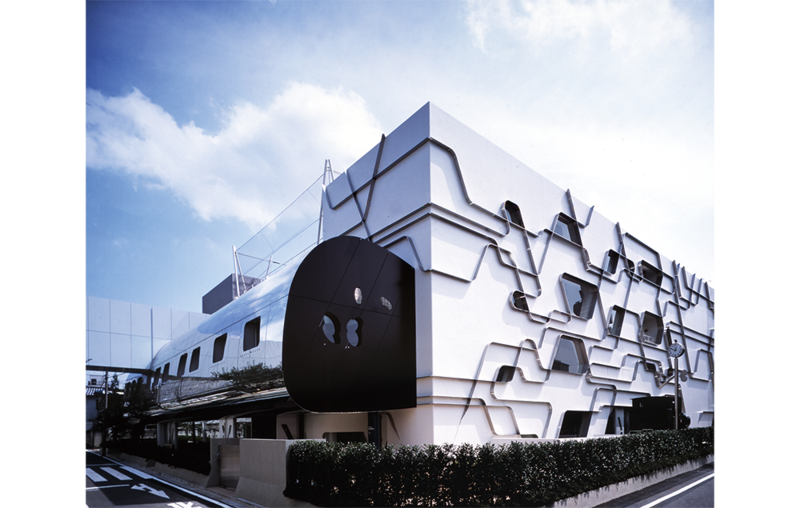 The exterior reflects the urbanity which evokes electric information and traffic networks of railway. Each window has different configuration which recalls a gemstone under the ground or a group of clouds floating in the sky. The arrangement of the free-formed openings stand for a metaphor of students who enjoy their school life. 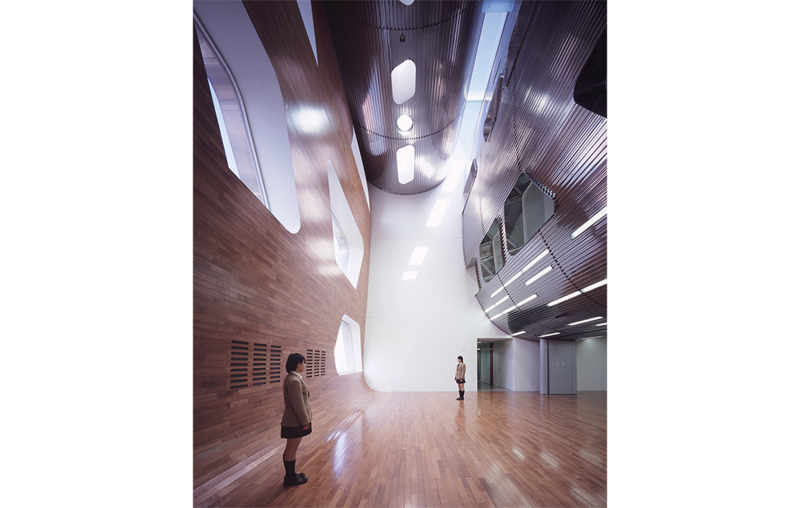 LOCO STAGE, symbolical communicative space within the school building, is comprised of undulating partitions (Wave Wall) with two different materials: “wood” as the nature and “steel” as the industry. The dynamic atmosphere of this space is provided by floods of natural light. Sky Corridor above a road was realized in cooperation with Toshima-ku et al. It integrates two school buildings on different sites separated by public road. 100 tons fire preventing water is installed at a pit under the school building, which contributes to the local security program.